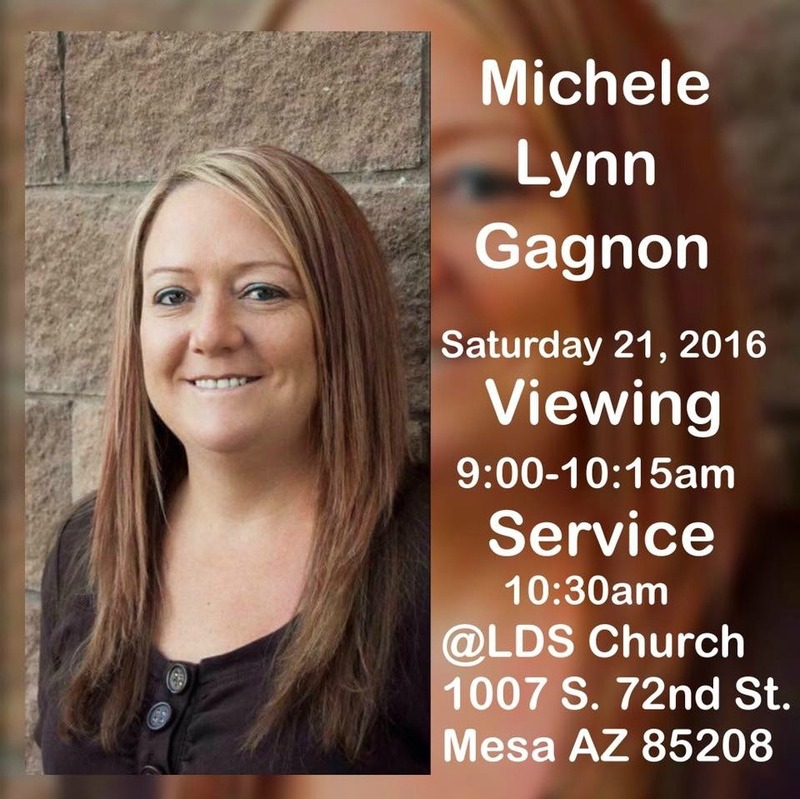 Michele L. Gagnon passed away at the age of 49 on May 17, 2016 in Mesa, AZ. She was born February 10, 1967 in San Jose, California. Michele is survived by her husband: Patrick; her 14 year old daughter: Kayla; and Mother: Carol Brunshwiler; she has 5 sisters one brother, many nieces and nephews and several great nieces and nephews.